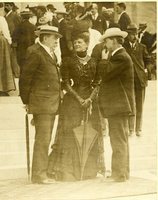 Dr. Warren [left] was chairman of the Entertainment Committee for the AMA meeting. 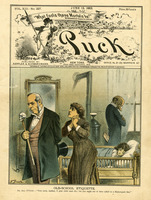 The woman at his side may be Mrs. Roger Wolcott who organized the afternoon teas at the Medical School. 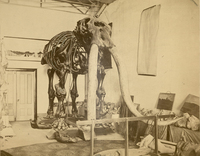 Skeleton of the Warren mastodon in the Warren Museum of Natural History, circa 1906. 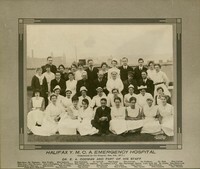 Photograph of E. A. Codman and staff members of the Halifax Y.M.C.A. Emergency Hospital in Nova Scotia. 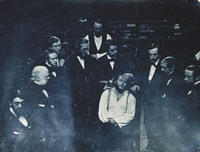 Reproductions of daguerreotypes of early operations employing ether anesthesia at Massachusetts General Hospital.